In April of 1951, Kathy Lienau, a woman with a vision and a dream, got a group of 18 women together at her home. Led by her enthusiasm, to learn more about barbershop harmony and Sweet Adelines, Inc., they continued to meet on a regular basis and hone their skills. About a year later they applied for a charter to become an “official” chorus. In April 1952, under the name of Minnesota No. 1, (the first chapter formed in Minnesota) our chorus was “born”. 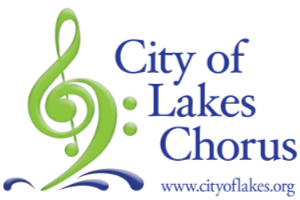 Just a year later, the chapter was renamed City of Lakes and as they say…”the rest is history”! 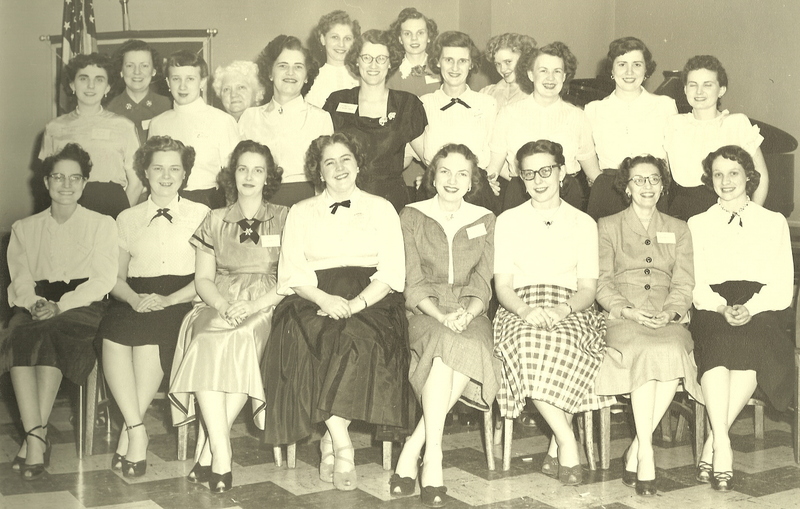 First row, left to right: Rose Liepke, Delpha Sporrong, Dana Reed, Kathy Lienau, Mavis Burtness, Joan Sunde (Heaberlin), Pat Warner and Merri Liepke. Second row: Marcie Bury, Caryl Cordes Hanson, Pat Dougherty, Eleanor Langsdale, Bev Broderson, Naomi Reishus, Loretta Dahl, Abbie Rye. Third row: Grace Denner, Florence Liepke, Dorothy Hallberg, Irene Wasick, Joan Hyland. Not pictured: Randine Hattlestad, Ruth Ogilvie.